Jumping boots with Velcro attachments. Made of durable plastic with lycra/neoprene lining. 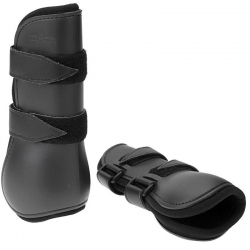 Offers great protection and support for the fetlock and cannon. Sold in pairs.